Ships today if you order in the next 15 hours 54 minutes. 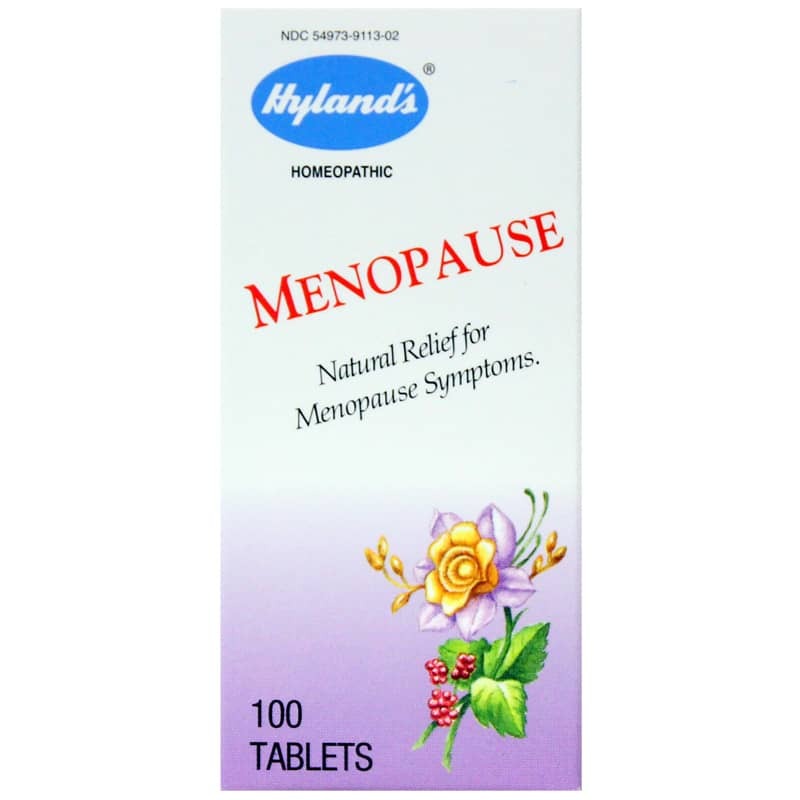 Hylands Menopause is a traditional homeopathic formula that works with the natural healing processes in your own body to support relieving the symptoms of menopause. Leverages the natural healing response in the body to menopause. If symptoms persist for more than seven days or worsen, contact a licensed healthcare professional. As with any drug, if you are pregnant or nursing a baby, seek the advice of a licensed healthcare professional before using this product. Do not use if imprinted tamper band is broken or missing. Keep this and all medications out of the reach of children. In case of accidental overdose, contact a poison control center immediately.